Amazon’s Alexa, a voice-powered digital personal assistant, is the latest in a long series of innovative services from the Seattle-based company. Amazon has already used the Amazon Prime program, which offers free shipping and other perks, to build a massive, fiercely loyal following for the brand. Alexa presents a new opportunity for consumers and third-party merchants who sell on Amazon’s platform by allowing customers to buy products by simply saying aloud what they want to order. It looks like Amazon has gotten it right with Alexa. This digital assistant does a lot of different things. She isn’t just Siri’s cooler sister. Alexa is Beyoncé to Siri’s Kim Kardashian. Like Siri, a user can query Alexa about facts, such as asking her the capital of a foreign country. More interestingly, one can also tell her to play songs, pay bills, order a pizza, or even call for an Uber ride. Amazon’s Choice Badge indicates that this item will be the product Alexa recommends for this keyword search. Alexa was built into the Echo, Amazon’s high-end smart home device, as well as the company’s less expensive Echo Dot and Tap products. The Amazon Echo Dot offers functionality and quality similar to the original Echo at a fraction of the price. With the smart home industry growing every year, this may be Amazon’s way of getting ahead of the market indicating that it will continue to focus on smart-home technologies. To expand Alexa’s reach beyond the home device, the company has also granted users access to Alexa through a smartphone app. If you sell or market physical products on Amazon, Alexa’s most enticing feature is how she lets customers order products with a spoken command. The company’s representatives have said that Alexa utilizes the new Amazon’s Choice program to determine what products to recommend to users. Amazon hasn’t released the metrics it uses to pick Amazon’s Choice products or to determine search results for Alexa orders, and there is nothing in its help documents that explain the formulas it uses. Amazon has, however, revealed some valuable information to journalists and on the Amazon Seller Forums that a savvy seller can use to maximize their opportunities for success with this new purchasing venue. 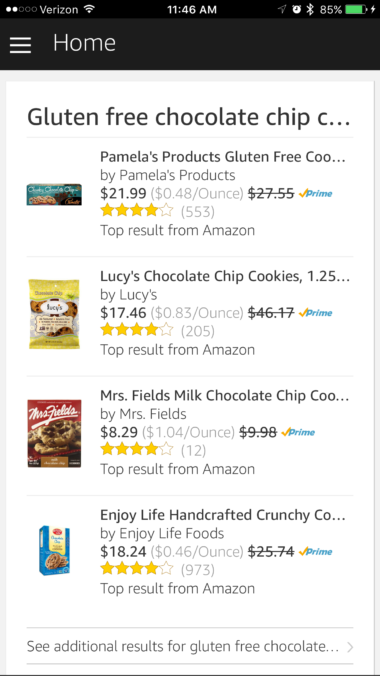 “The Amazon’s Choice feature makes product recommendations for searches where we believe customers would like assistance in quickly finding a high-quality product. Please keep in mind that we don’t offer Amazon’s Choice for all searches. Amazon’s Choice recommendations are selected by taking a variety of factors into account including popularity, rating and reviews, availability, shipping speed, amongst other factors. That seems a vague explanation for such a complex ecosystem as Amazon, but it hints at what third-party sellers can do to improve Amazon Alexa sales and optimize listings for Amazon searches. This guide will show you how to do just that. For example, imagine that somebody orders shampoo with Alexa. 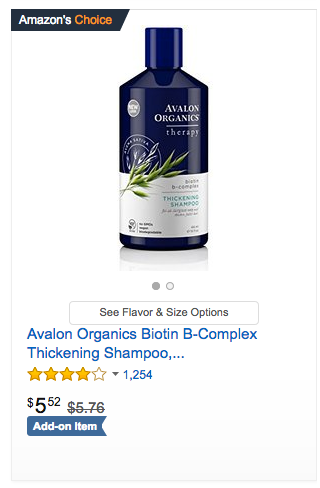 They say “Alexa, order me more shampoo,” and Alexa chooses a shampoo for them. How do you get Alexa to choose your brand over others? This guide will show how to improve your chances of earning an Amazon’s Choice badge, but it will also show you how any product can capture more of the voice search market. If you’ve searched around on Amazon, you have probably seen the “Amazon’s Choice” badge on some products (see above image) and wondered what it is. The logo marks the items that will be chosen by Alexa when she is given the relevant keywords for that product. Amazon has already confirmed that Amazon’s Choice is the program that determines which products Alexa purchases for users. While there is currently no option to submit a product to the Amazon’s Choice program, the company has revealed some of the requirements for being chosen. We know that the product needs to be available via Prime through the Fulfillment by Amazon or through the Seller Fulfilled Prime program to be eligible for Amazon’s Choice. Amazon also looks at price, rating, reviews and shipping speed. If an item isn’t available via Prime, Alexa will not be able to place the order for the customer. She will let the buyer know there is not a Prime offer on the product and she will send the product to their Alexa App for manual purchase. While we could not find any documentation supporting this, we have found that as of the time of this writing, Alexa will often go beyond the Amazon’s Choice options to find product recommendations. When we gave Alexa a specific keyword phrase where there was no Amazon’s Choice option, she selected the top-ranking Prime offer for that search result. We have identified a few key points that will help you get on Alexa’s good side including capturing an initial sale for consumables, quick shipping times, excellent product feedback, best search engine optimization (SEO) practices, and, most importantly, making your item available via Amazon Prime. Let’s look at each of these five points in greater detail. The first step to having your product accessible to Amazon Alexa customers is to be available on Amazon Prime. If you aren’t familiar with Prime, it allows customers to subscribe via a monthly or yearly fee to have all of their items shipped with two-day shipping. 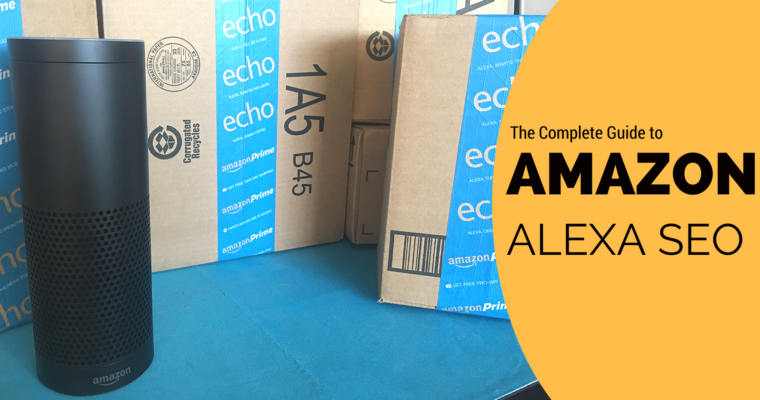 Items mostly have to be Fulfilled By Amazon (FBA) to be a part of the Prime program. The FBA program has third-party merchants send their products to Amazon warehouses where Amazon handles delivery, returns, and customer service. There is a complicated fee schedule for Amazon’s FBA program, and you should take care to understand it before you participate. Amazon does have a calculator that can help you to determine if Amazon’s FBA Program will work for you. It is important to understand that Amazon’s warehouses are now full. The overstocking of the warehouses by FBA merchants has become a major issue for the company. To alleviate the problem Amazon has made some significant increases in the storage fees for items it stores for third-party sellers. After the first 30 days, merchants will be charged a storage fee ranging from 64-cents to $2.35 per cubic foot. These fees are most expensive during the fourth quarter of the year. There are additional long-term storage fees to take into consideration. They are incurred twice a year on February 15th and August 15th. Any inventory that has been in the warehouse for six months on those dates incurs an $11.50 per-cubic-foot fee, while inventory that has been there for 12 or more months will be charged $22.50 per-cubic-foot. These additional fees can be very costly for merchants who don’t properly manage their inventory. There are some situations, such as with large, expensive, or hard-to-ship items, where using the FBA program doesn’t make sense. Does that mean that merchants who sell such items are completely out of the Alexa game? Luckily, it doesn’t. There is a new program called Seller-Fulfilled Prime that can give a product the “Prime” badge and make it eligible for Alexa orders while not requiring it to be in an Amazon warehouse. While the eligibility requirements are intense, this new program makes it possible for a merchant to have products available for Prime and still ship from their location. Amazon’s intention is to have the site eventually only support Prime offers. We highly recommend anyone who is interested in having long-term sales on Amazon investigate the Prime program. As you prepare to send in your products for fulfillment via Amazon’s network, it’s important to understand the shipping guidelines. The company is very particular about these rules. For example, glass containers can hold no more than 4 ounces of liquid, while plastic containers may be larger. Bottles of liquids in glass may never be bundled together, regardless of size. Plastic containers of liquids may be bundled together up to 5 gallons. These sorts of specific guidelines exist for most Amazon product categories, so anyone interesting in selling products with the FBA program should study them carefully. Those who don’t follow the rules risk having products returned or seized at the Amazon warehouse. If a merchant sells products that are consumables — something that will hopefully be purchased by the same customer multiple times — that seller’s strategy will vary from one who sells products that are one-time purchases. In this case, the next most important thing is making sure that your Amazon listings have been ordered by as many buyers as possible. This significantly enhances the possibility your product will be the default selection for re-orders for those buyers if they start ordering from Alexa. If someone tells Alexa to order shampoo and Alexa sees that customer has ordered Paul Mitchell Tea Tree Special Shampoo in the 33.8-ounce size in the past, she will default to reordering it again. For consumable products, it is crucial to get that first Amazon order so that Alexa will continue to order from you in the future. A seller whose products are consumables, has a greater incentive to drive sales to their Amazon page than to drive sales to their independent e-commerce website. Their marketing plan and overall sales strategy should change to drive customers to their Amazon listings first. There are many ways to do this. One popular method is to attract Amazon sales and Facebook ads and email campaigns. But, it is important not to send people straight to your Amazon product page from an email or Facebook ad post because Amazon’s SEO strategy pays attention to conversion over all else. If a lot of people look at a product page without buying, it negatively impacts the organic search rank of that product. For those who sell one-time-use products such as alarm clocks or furniture, controlling where the traffic goes isn’t as important. The focus for this type of product is to get an Amazon’s Choice badge or to become highly relevant for the appropriate keywords. This can be frustrating because you must attempt to manage your product’s shipping time without having direct control over what Amazon does with your inventory. Amazon has been clear that shipping speed is an important part of earning the Amazon’s Choice badge. We know that this speed varies depending on where Amazon is holding your inventory. If a shampoo seller sends 100 units to Amazon, they may be instructed to send them to multiple warehouses, or to an Amazon distribution center. Amazon will send ten to Tennessee, five to Pennsylvania, and so on, spreading them around the country for the shortest possible shipping times. It is important to have ample stock to facilitate this distribution. If you only have a limited amount of stock, your product will not be in as many warehouses, slowing the shipping speed. A smart seller will manage inventory size and keep 4-6 weeks of stock with Amazon at any given moment, while not going above 2-3 months of stock to avoid storage fees. When optimizing for Alexa search, manage product reviews proactively. Amazon customers can choose to leave feedback for the seller or the product. For those focusing on getting into the Amazon’s Choice program, product reviews are most important. There are several services available to Amazon sellers that use follow-up emails to encourage happy customers to leave positive reviews. They send the unhappy people to your customer service department, offering you the opportunity to solve their problems. Keep in mind that buyers can remove their old negative reviews, so it is worth reaching out to reviewers who weren’t happy to see if you can remedy the situation. The final way to ensure that your product is set up for Amazon search engine optimization. This article will only briefly cover this topic, which easily qualifies for a full guide of its own. The most important thing to realize is that Amazon is not Google. It looks different indicators to decide if a search was successful. Unlike Google, Amazon doesn’t care much about click through rate (CTR); dwell time or unique, fresh content. What it is looking at is if presenting your product for a keyword search results in a sale. There are several things you can do to get higher search rankings, which in turn improves your chance of getting into the Amazon’s Choice program. Make sure to use high-quality images on product pages. Images are your salesperson. Look at the Amazon sales guidelines for the category and follow the rules, using as many images as are allowed. Make sure each picture is at least 1000 by 1000 pixels to allow desktop users to zoom in for closer details. The zoom feature is a proven way to increase sales conversion — your most important metric. While your primary photo cannot include lifestyle shots or show scale, secondary images can have these features. 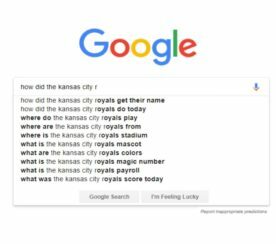 The title is the most important factor in getting a product to rank for certain searches. Luckily, Amazon tells the best title formula for virtually every category. For example, a particular category might specify an ideal title has product color, then brand name, then model, and then size. Following Amazon’s guidelines seems to help both search ratings and the customer’s understanding of the product. There is some debate in the Amazon sellers community about the length of titles. We have found if sellers focus on readability, include critical information and stay away from cheap marketing phrases, their conversions increase. It used to be good advice to focus on the bullet points in the listings since they showed “above the fold” or before a user had to scroll to see the rest of the product page. However, in an increasingly mobile-first society, it’s important to focus on the description, which is what appears above the fold for mobile buyers. According to Amazon’s terms of service, the bullet points and description don’t necessarily contribute to ranking organically on Amazon. However, we have found that they do make a difference in determining whether a product is eligible to run sponsored product ads for certain search terms. Sponsored product ads are Amazon’s pay-per-click advertising program. Keywords are incredibly important on Amazon, and while it looks like there’s only space for one to five keywords, there are actually thousands of characters available. Sellers should utilize every keyword possible in the structured keyword area on the back end of a product listing. It’s possible to fit upwards of seven words per text box, and sellers should stuff them every possible relevant keyword. Amazon, unlike Google, doesn’t encourage that you repeat words to increase your page’s relevance for that term. It also places much less emphasis on the order of words in a phrase. Instead of needing both “white chocolate fudge” and “chocolate fudge” as separate keyword phrases, Amazon will see the phrase “white chocolate fudge” and understand all of the other word combinations that may be derived from it. Put words in the order that makes the most logical sense. There’s no need to play games with punctuation or to repeat keywords that appear in the title. While different word orders will bring up different results, conversion rates for each keyword phrase will increase relevancy a lot more than simply repeating words in the keyword section. Unlike Google, Amazon is focused on allowing consumers to filter their searches. Making sure that a listing has all relevant filter items included — such as color, fabric, texture, size, organic, BPA-free, and so on — will include your product in the appropriate search results. Users can and often do utilize these filters on the left-hand side of the Amazon search page. Supplying all of the appropriate data could help your product become the Amazon’s Choice for a subset of filters. Amazon Business — Since Amazon SEO is all about conversions the easiest way to increase sales is to make sure your product is available to capture every possible sale. The Amazon Business program exposes products to a whole new class of buyers. Amazon Business customers enter the site through a slightly different portal where products often have bulk pricing options. The program allows employees of a participating company to place Amazon orders under a company account. You might think that a particular product wouldn’t appeal to business buyers, but we’ve seen this work for everything from toys to chocolate to lingerie. We recommend you register for Amazon Business to get more sales opportunities. 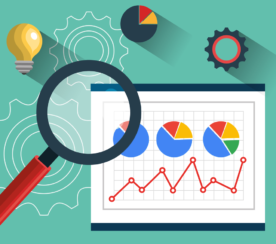 Sales and Traffic Report — One of the most important tools a seller can utilize to understand a product’s SEO results is the Amazon Sales and Traffic Report. On this report, one can see page views and sessions (also known as impressions) as well as statistics on returning traffic. We find the most important metric is the unit session percentage. This metric shows the number of purchases made compared to the number of times people viewed the product. There is no standard number here, but sellers can compare their items to one another and use the statistic as a benchmark for future results. Finally, it can’t be said enough to focus on conversions. If you have a new product that needs those first sales, seriously consider using Amazon’s sponsored ad program to drive customers to its product page. Amazon’s ads are usually less expensive than Google ads, and since Amazon ads are shown to customers who are already on the site, they drive high-quality traffic. You might also look at temporarily offering your product at a slightly reduced price to get the initial sales needed to make your product relevant for the relevant keywords. Giveaways and Fake Reviews — Not too long ago it was common for sellers to do large giveaways offering promotional codes in exchange for positive reviews of their products. Amazon saw this was having a detrimental effect on its customers’ trust in the review system, so it is now fighting back against low-quality reviews. Amazon has also started removing reviews that it considers “fake.” Trying to buy one’s way to the top of the search results by giving away products is not only less effective than it once was, but it puts an account in danger of suspension. It’s best to avoid large giveaway programs for brands with niche products or an existing customer base with the sole purpose of getting reviews. We have launched hundreds, if not thousands of products, without giveaways. If your product is something that people on Amazon want, the risk of losing one’s account is not worth the increased risk of suspension that a incentivized review giveaway program creates. Amazon is becoming increasingly strict such about “black hat” techniques as review and rank manipulation. The only black hat that belongs in the Amazon ecosystem should be in the apparel category. Sketchy techniques invite disaster. Amazon is a customer-obsessed company. In its culture, a third-party seller who purposely tries to exploit the system or use ignorance of the rules as an excuse for bad behavior will be viewed negatively. Amazon gives merchants many tools to help products sell better and it regularly rolls out new features to help sellers. After all, it wants your products to sell just as much as you do. If you follow the Amazon guidelines, you are nearly guaranteed to improve your Amazon search ranking. Improving your Amazon search rank is an achievable goal. 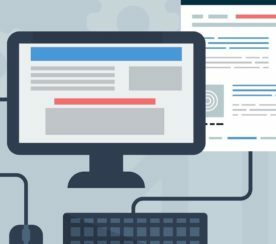 We’ve covered the key points — the most important of which are utilizing Amazon’s programs such as Amazon Prime, Amazon Business, and Amazon Sponsored Products Ads, and making sure that your product page is converting at a high rate. For consumable items, sellers should drive the initial orders to Amazon so that customers will naturally come back to your listing, whether it has an Amazon’s Choice badge or not. To acquire new buyers for a product, make sure that its Amazon page is optimized, that you are managing product reviews, and that customers can quickly get your product via the Amazon Prime network. Employing these strategies will make your products more desirable to Alexa and help set you up for success in the evolving Amazon ecosystem. In-post Photo: Screenshots by Robyn Johnson. Taken February 2017.